The largest private car maker in China’s Great Wall will present its latest model, the 2019 Great Wall Steed, at the end of the current year or at the beginning of the next. An enhanced version of the most popular pick-up of Great Wall will be presented during a unique off-road adventure on a specialized track. The basic characteristic of the new TOD system – an intelligent drive system. It is the ability to adapt to road conditions based on an automatic assessment of whether a vehicle is required to drive on all four wheels. The design of this truck is genuine in every detail. The Chinese are known as “borrowers” of lines with more famous brands. But the Great Wall has a completely different policy, as it intends to prove itself in the markets of Europe and America, where strict copyrights apply. Steed performs with rich basic equipment including alum wheels, body color bumper, tinted glass and chrome trim of the rearview mirror. Load capacity is 1,050 kg. Available in Classic, Professional, Premium and Hunter editions. In this way, the arc is made of vehicles that are subjected to daily grubbing up to an elite vehicle for nature lovers. And again to a robust vehicle for the toughest field challenges, such as Hunter. 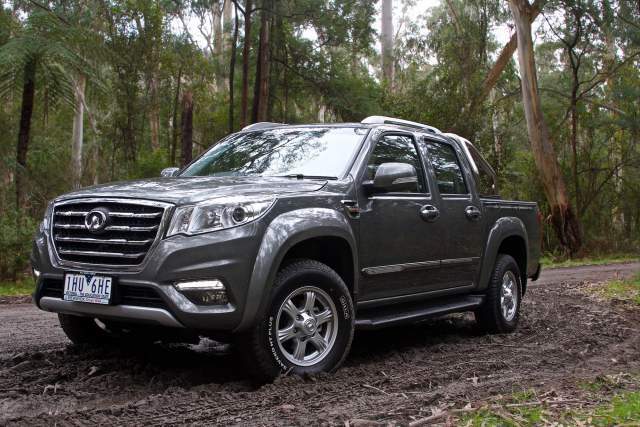 The 2019 Great Wall Steed is a modern light commercial pickup car, which sets trends for cars from your segment. The new Great Wall Steed is able to respond in the right way to the most demanding customers. It is not only a vehicle for work and a difficult exploitation. But it is also a car for your personal satisfaction or moments that you treat with your family, friends. Thanks to the extraordinary architecture, the spaciousness of the interior adds to the competition. Although the interior does not delight in solid workmanship and hard plastic, rich and complete equipment can make you pleasantly surprised. Behind cheap plastics still “hide” the proven components. Standard equipment includes: air conditioning, airbags, central locking, 16 “light alloy wheels. Also, daytime running lights, MP3 player with controls on steering wheel and others. Rich standard equipment, high functionality and excellent driving characteristics brought Steed to the forefront in sales in a number of countries. The latest Great Wall Steed 2019 will have two options for the engine. The first version of the engine is a 2.0-liter direct injection turbo diesel (4 × 4) engine. This version of the engine has the ability to produce 143 hp and 310 Nm of torque. The second version of the engine is a 2.4-liter four-cylinder physically aspirated petrol (4 × 2) engine. This version of the engine can produce a power of 305 Nm of torque and 143 hp. Also, both engine versions are associated with the standard five-speed transmission. The average fuel economy new 2019 Great Wall Steed with these engine versions is about 34 mpg. In conclusion, the new 2019 Great Wall Steed will be presented to the public at the end of 2018. Finally, the price 2019 Great Wall Steed information is not yet official. But it is assumed that the price will range from $ 18,000 to $ 30,000.